Regardless of grape type, growing region, vintner or price point, certification is a very important process in both organic viticulture specifically, and organic agriculture in general. Organic wine certification protects the consumer from fraud, the vineyard from conventional shenanigans, and the health and longevity of the earth itself. The current industry standard for viticulture is known as “conventional viticulture practices”. These standards were established after World War II when industry and post-war agriculture put a primary focus on efficiency and disregarded (or ignored entirely) the concept of leaving an ecological footprint. In an efficiency driven, mass-production society, all industries were impacted and driven to produce the high volume and low prices. The previous agricultural model limited the use of chemicals and implemented predatory biodiversity. That model was replaced by the use of chemical fertilizers, pesticides and fungicides. With this new concept of agriculture came the disregard for the health of planet itself for many years to come. Many years later, organic agriculture appeared on the horizon and growers learned that they could combat pests and retain their profit margins by producing a chemical free version of their products with the value-added premium of pesticide free. Unfortunately, this took some time to implement, and by the time organic agriculture became popular, conventional farmers mimicked their marketing technique but not fully the concept behind it. The general consensus was that there was a need for group(s) to oversee and ensure “organic” agriculture was actually what it claimed. At this point, organic was a concept, instead of a definitive term. It was easily co-opted as a marketing term without any substantive meaning. With the rise and implementation of third party organic certification groups, organic agriculture was now required to be practiced under strict guidelines and could no longer be marketed (or at least certified and labeled) as organic without adhering to these stringent policies. Today, we have numerous honest and reputable third party certification agencies. In order for a given product to be labeled “organic” and be marketed with the much-desired organic label, producers have to stick to the guidelines. Getting to know a handful of the big certification companies and their guidelines (which are similar to one another) is a good idea. 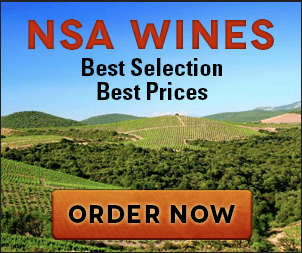 We’ve provided links below to some reputable third party organic certification organizations, as well as links to articles that can aid you in choosing an organic wine from the shelves on your own. It’s important to remember that organic wine certification by a reputable third party is not an easy process. There are strict guidelines and time requirements for a vineyard to become organic, so in all likelihood, if a producer has gone through this lengthy process, they will proudly display a certification emblem on their label. Other terms can be misleading… “eco-friendly”, “natural”, “green” and “eco-conscious” aren’t legally defined terms. The terms to look for are: “wines made from organically grown grapes” or simply “organic wine”. These are the terms that matter. If an organic certification emblem is also present, then you’re getting what you’re paying for. 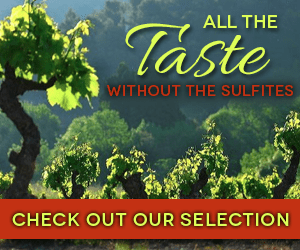 If you’ve purchased wine from us at The Organic Wine Company, rest assured that our wines are made with 100% certified organically grown grapes with minimal added sulfites. Our wines are certified by a reputable, honest third party certification agency with a long history of upstanding business behavior. Many of our wines are also biodynamic and vegan. Feel free to call us or email us at any time to inquire about the attributes of a given wine. ECOCERT is a very reputable organic certification company in France. Their certification process is subjected to supervision through the French Accreditation Committee (FAC).